Yachad provides the opportunity for supporters to take part in educational day tours and extended trips to Israel, East Jerusalem and the West Bank. These are delivered by Israeli partners on the ground. The purpose of these trips is to provide British Jews who spend time in Israel with a greater understanding of the conflict, the impact of an ongoing occupation on both Israelis and Palestinians, and to hear narratives they may not have been previously exposed to. Get in touch to register your interest for future Yachad trips. For Breaking the silence tours click here. For Machsom Watch tours click here. For Ir Amim tours click here. Peace Now is Israel’s longest-standing movement for public pressure for peace. Established in 1978, Peace Now’s current work focuses on preserving and promoting the two-state solution and assuring a viable Palestinian state with a functioning society, alongside Israel. In the early 1990s, after identifying settlements as one of the largest obstacles to the two-state solution, Peace Now began to focus its work in preventing settlement expansion and other settler-related violations of international humanitarian law and Palestinian human rights. Peace Now seeks to raise the issue of the conflict in general, and settlements in particular, to the public debate, to increase transparency of the government’s actions beyond the Green Line, and to increase pressure on decision-makers to assure they will be accountable for their actions. 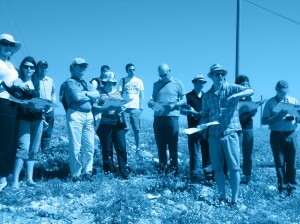 Peace Now’s Settlement Watch team offers field visits to the West to explore settlement trends and their impact on the viability of a two-state solution. To book a Peace Now tour email brian@peacenow.org.il. For Green Olive Tours click here.